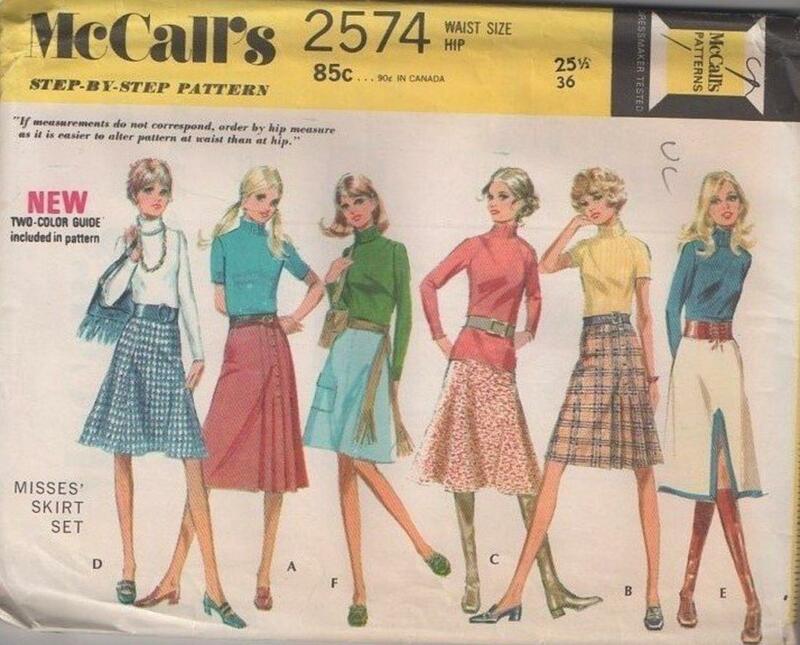 1970, 70s Mod, Retro Office Clothing Patterns - Skirt with side pleats is wrapped and buttoned closed. Other skirts have left side zippers. Skirt E has front vent and trim.